It's Friday! There is a brand new Pinspire Me mood board that will definitely put a smile on your face and make you wanna scrap the weekend away! 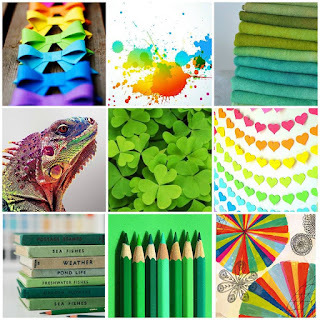 Rainbows, hearts, bows, green, and lizards... what's not to love?! I definitely made a very rainbow-themed layout for this challenge. These photos are from my first meeting with fellow Paper Issues girl Jen Chesnick! 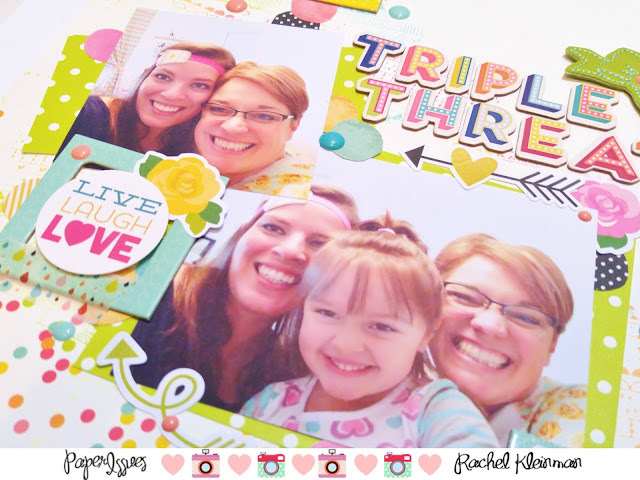 Her personality is just as bright and fun as her darling daughter's, so bright happy colors are the perfect fit for this layout! I recently got a HUGE haul from the Paper Issues shop, which included a lot of bright things from the new Simple Stories collections "Carpe Diem" and "Let's Party!". 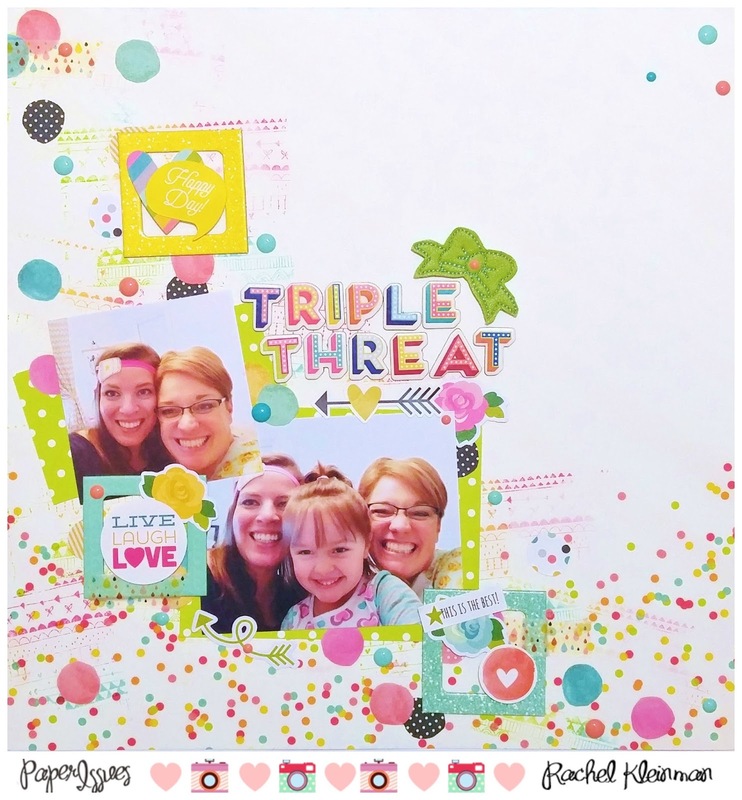 You can also see I stamped the background with the brand new Pinkfresh Studio 'Doodle Background' stamp... I can't wait to use it on a card! Make sure you play along with the Pinspire challenge! Share your projects with the Paper Issues Friends and Fans facebook group and you could win some moola to the PI store!! Happy scrapping! As always, you can buy ALL of the products used on this layout in the Paper Issues online store. Make sure you use the code RWKRAFTS for 20% off your entire order!